Governor Paul R. LePage announced today he has appointed Julie Dumont Rabinowitz as his Press Secretary. Rabinowitz now serves as the Director of Policy, Operations and Communication for the Maine Department of Labor. “Julie has worked closely with our communications team and our policy advisors in her role at the labor department, and I am looking forward to her continued service as my press secretary,” said Governor LePage. 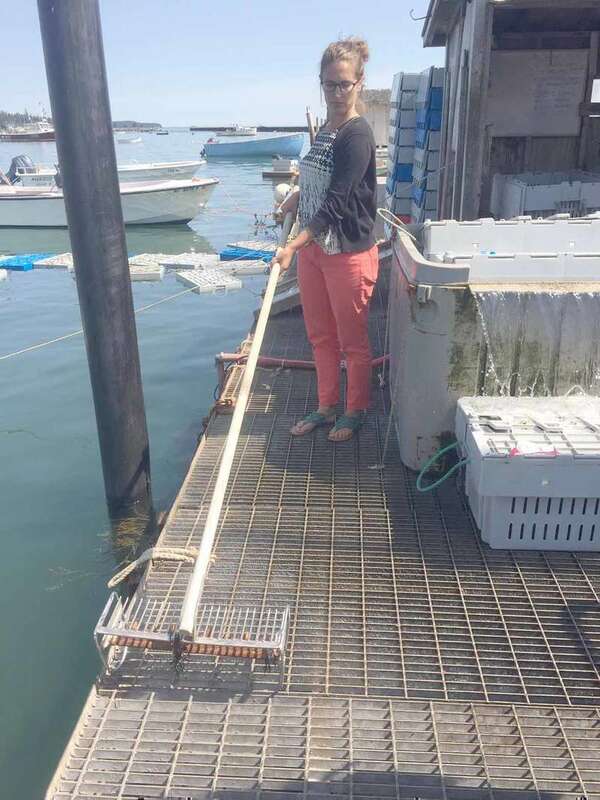 This October, the Maine Department of Agriculture, Conservation and Forestry’s (DACF) Board of Pesticides Control (BPC) will team up with the Maine Department of Environmental Protection (DEP) to help Mainers dispose of unusable and waste pesticides. The Obsolete Pesticides Collection Program, jointly sponsored by the BPC and DEP, and funded through pesticide product registration fees, has kept more than 99 tons of pesticides out of the waste stream since its start in 1982. Take one imaginative first-time author and one unsolved violent family murder and you have a tale unique to New England. A bloody good story that remains shrouded in mystery even after 125 years. Merrill Library at the University of Maine at Machias has been selected by the Maine Humanities Council to offer “Let’s Talk About It,” a free public reading and discussion group, with copies of books available for loan through the library. 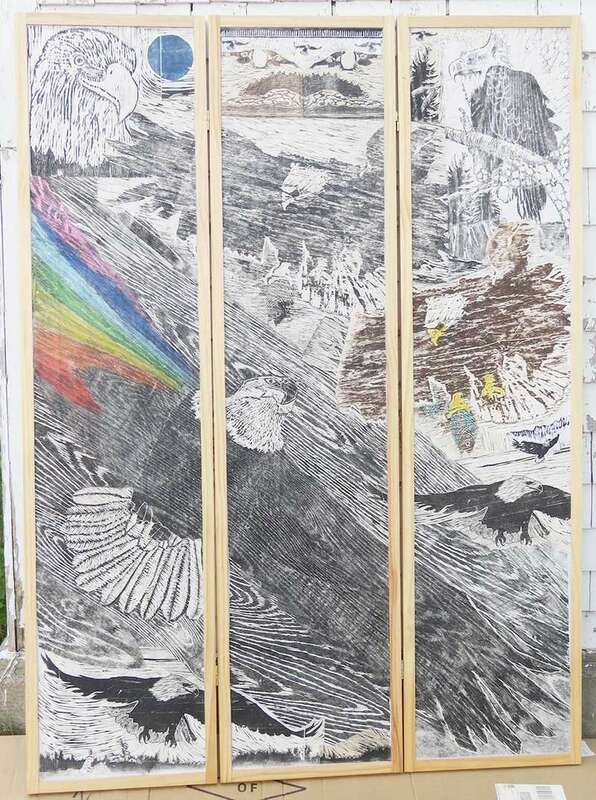 The program is provided by the Maine Humanities Council’s Maine Center for the Book, in cooperation with the Maine State Library. 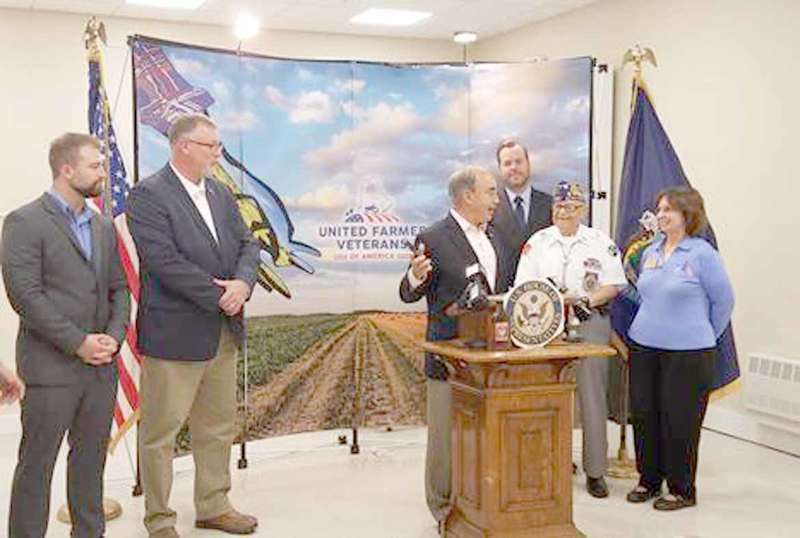 Congressman Bruce Poliquin (ME-02), a member of the House Veterans’ Affairs Committee, has launched the Veteran Advisory Panel, a new body consisting of Maine Veterans that will assist the Congressman in more effectively hearing from and conveying the interests of Veterans across Maine’s 2nd District to Congress. Another busy week for us, Sometimes I wonder if I will ever have a slow week. Anyway we were out and about on the barrens a few times, I did stop at the Greenwood Cemetery on the Tibbettstown Road and cleaned a couple of stones. Two foot stones need more to do on them and my great great Grandfather James & Hannah (Worcester) Grant’s stone needs more especially on the sides and the back. The front needs a bit more to really get it clean. I just don’t have enough time to do a whole lot of cleaning with school starting up again. Where has the summer gone? Spent the afternoon at UMM in Machias watching granddaughter Maddy and her team playing volleyball. There were six different schools that played each other’s teams. Pete, Jenn, Tracey, and I had a great time. Wish we still played volleyball at the Wesley School. I was able to stop to balls even in a wheelchair. Picked up some pizza and headed for home in Wesley where there were four young woman waiting for us. There six ladies grew up together and some worked together but haven’t seen each other for quite a while. There was a fire at Worcester’s Balsam Valley. It burned many trees, but it was contained after a spell. Many of the trees were damaged. As a general rule, people rarely visit the tourist sites closest to home, and we are no exception here in Washington County. Now that the weather is getting cooler and the bugs are slowing down, it’s the perfect time to seek out the attractions in your own backyard. 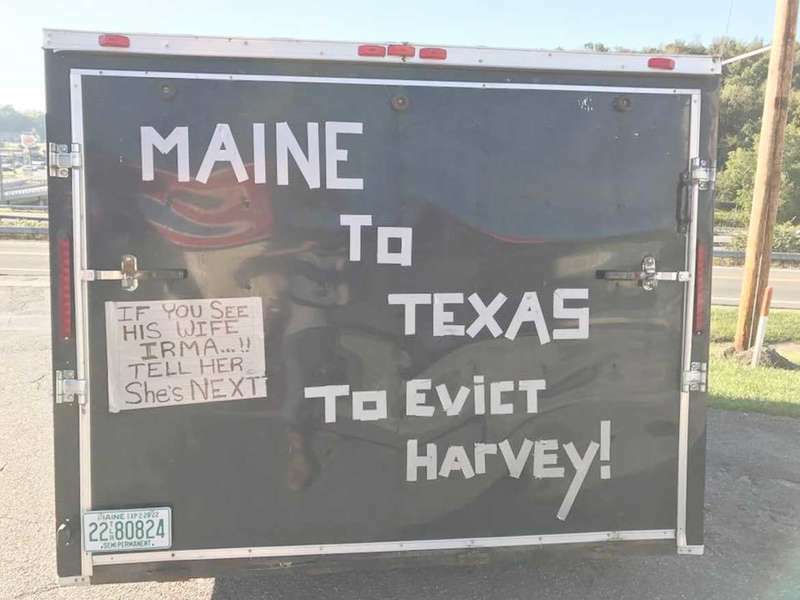 A local Facebook page connected two strangers who wanted to help the victims of Hurricane Harvey, and from that connection grew a plan that spread across Washington County. 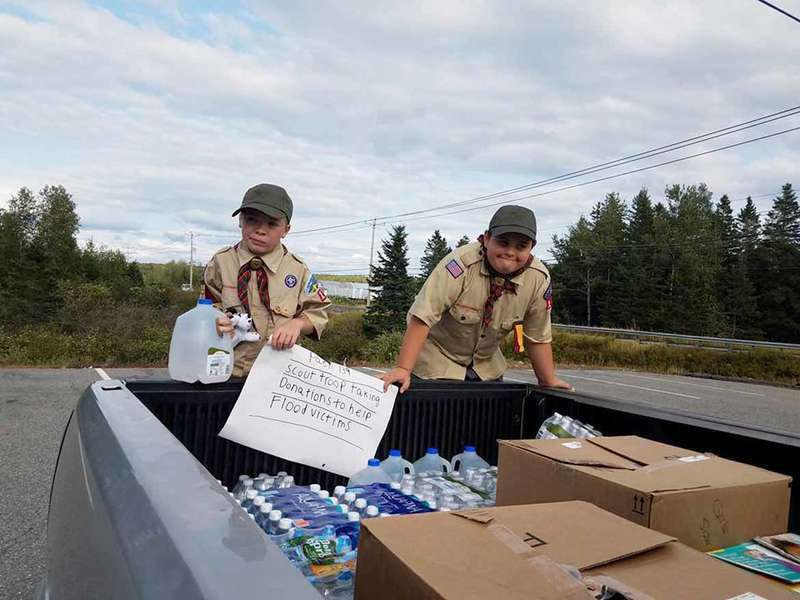 Their combined efforts will culminate in a truckload of supplies bound for Texas this week. Southeastern Texas was struck with Hurricane Harvey on August 29. The flooding is extensive. The Worcester Wreath family released an announcement at noon saying that a fire had consumed 20 acres of land. 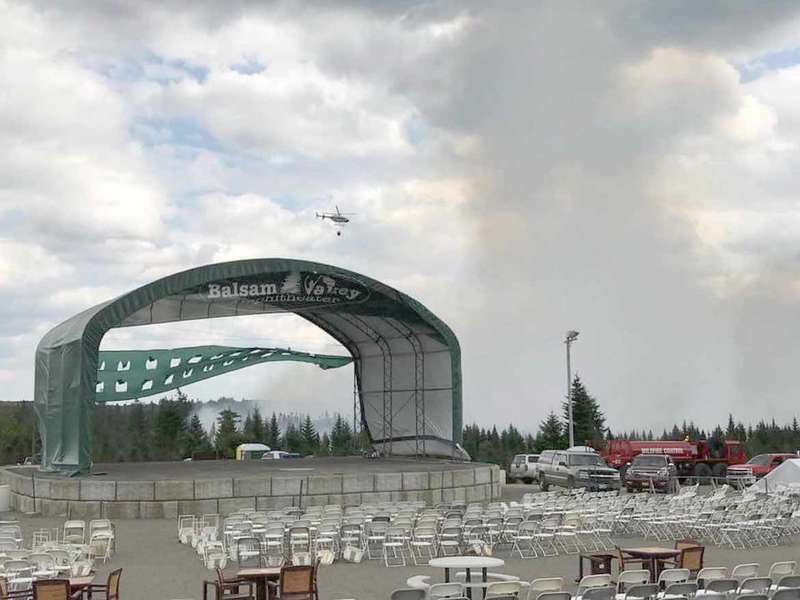 This photo shows a helicopter battling the fire high above the Balsam Valley Amphitheater, which was unharmed. However, the Sawyer Brown concert scheduled for Sunday, September. 3 was cancelled due to forecasted rain and the fire. Photo courtesy Maine Forest Rangers. Find more photos on page 14. The Maine Department of Transportation (DOT) repaved many of the roads in Machias this summer, raising questions around the crosswalk previously painted on Court Street between Porter Memorial Library and the Machias Post Office. The selectboard discussed the issue at their regular bi-weekly meeting on Wednesday, August 23. On September 9 from 11 a.m. to 3 p.m., The Ark Animal Shelter in Cherryfield will be hosting its second Furry Friends Family Fair. Visitors will enjoy live music, pony rides, a petting zoo featuring local farm animals, dunk tank, bounce house, face painting, games, and food provided by North Street Café. The day’s events also feature a dog show starting at noon, with classes for both kids and adults and prizes for: Best Costume, Most Obedient, Best Groomed, and Best Friend Award. Cub Scout Pack and Boy Scout Troop 139 from Cherryfield are accepting registration forms for the 2017-18 year. The pack covers the towns of Cherryfield, Milbridge, Harrington, Addison and Steuben and surrounding towns. However, if you do not have a troop or pack nearby, your son is welcome to join us. 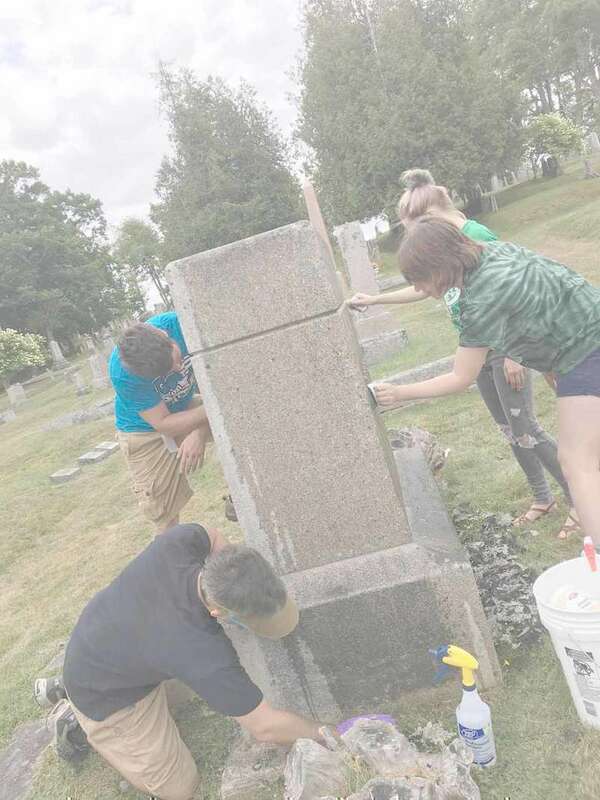 When new and transfer students arrived at the University of Maine at Machias (UMM) last weekend, they participated in an annual UMM tradition of kicking off the school year with a community service project. 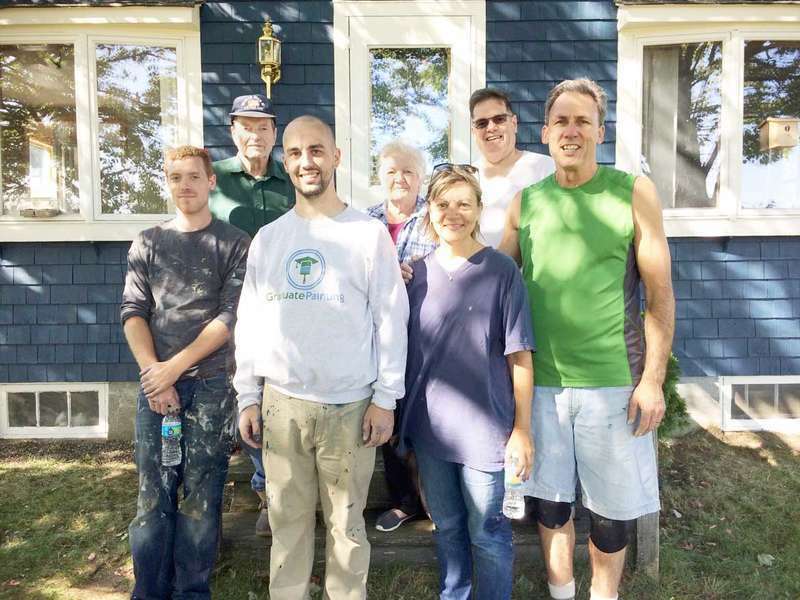 “Last year we did something at the veterans retirement home, and one year we did some work on the boxcar for the Chamber of Commerce,” said Jake Hanley, who serves as the assistant director of student engagement and inclusion. Thank you to everyone that came out and supported us at the Annual Blueberry Festival this year. The Friends of the Whitneyville worked hard getting ready for the festival making new items that were for sale. Friends of the Whitneyville Library are getting ready for craft fairs in November and December. It will be almost that time of the year to make our hand dipped chocolates. Tigerette Jacquelyn Cook looking for a teammate while handling the ball. Halle Sullivan makes a nice pass to a teammate for Shead. Sara Bartlett sends the ball into the middle. Barrett Chalmers of Portland and Hayley Bishko were the overall male and female winners at the Annual Blueberry Run one - mile race August 19th in Machias. This year’s race featured ideal running conditions with a light rain and cool weather. The times in this years race are a bit misleading because many of the leaders headed across Center Street which cut almost a half mile off from the one mile distance. The University of Maine at Machias (UMM) Clipper fall sports squads are busy working out at practice sessions, getting ready for their season openers in volleyball, women’s soccer and men’s soccer. The women’s volleyball squad will be coached this season by veteran coach Amy Fritz, who is back as head coach after a two year absence. The Clippers, who play in the Yankee Small College Conference, will open their season Aug. 30 at a preseason tourney at the University of new Brunswick in Fredericton. 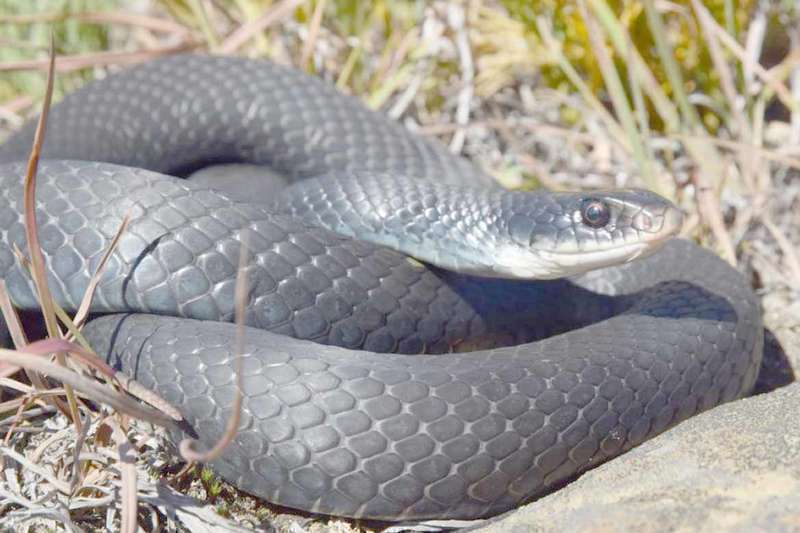 Nearly anyone who has spent any time in the woods or fields in their lifetimes has had the eye-opening experience of startling a snake underfoot. This can be particularly shocking if it happens in a part of the country where venomous species dwell. When living in a society, it can be difficult to consider what that society is like until one has the opportunity to share in an external perspective. 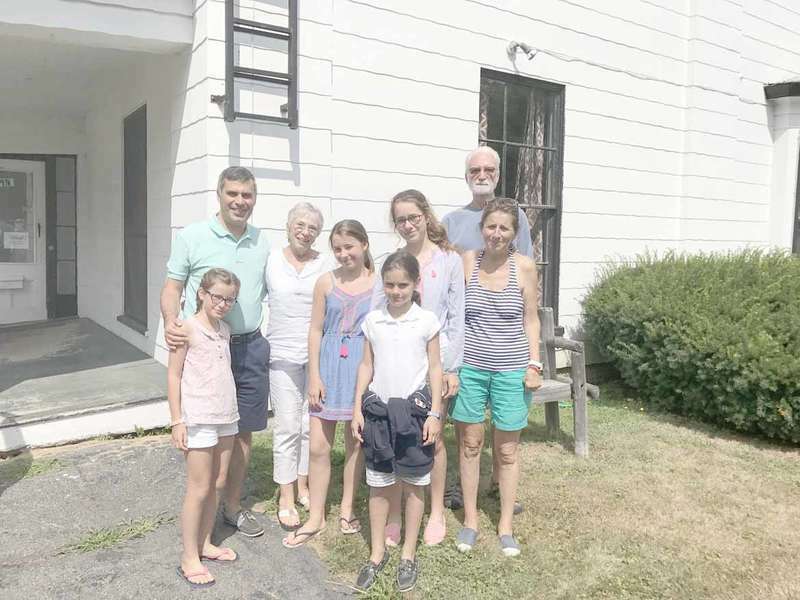 That opportunity arose recently when a French family visited America, making their way up from New York City to Big Lake in Princeton to spend a week with the Nichols family. Avis C. Manchester, 81, died August 27, 2017 in Machias following a short illness. She was born July 5, 1936 in the Kennebec district of Machias, the daughter of the late Clyde O. and Phoebe (Foss) Manchester. Machias. Healthy Acadia will host its annual “A Dash of Color” 5K Fun Run on Saturday, Sept. 23. The non-competitive run / walk will start and finish at the University of Maine at Machias Murdock Fitness and Aquatics Center, 116 O-Brien Avenue, Machias. Registration opens at 8 a.m. and closes at 8:45 a.m.; the run will start promptly at 9 a.m. Event proceeds will benefit Healthy Acadia’s DownEast Teen Leadership Camp and community initiatives focused on substance education, prevention, support and recovery in Washington County. 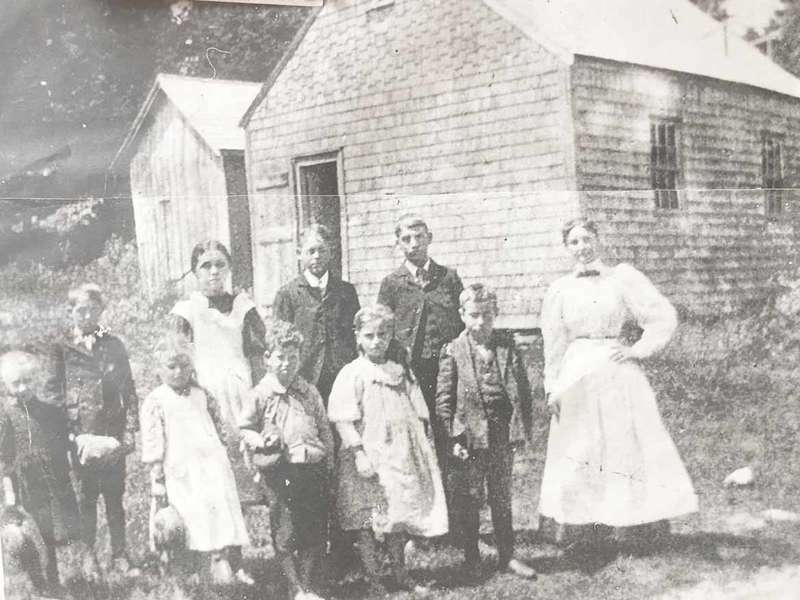 On Saturday, August 24 the Starboard Cove Community Club hosted an open house at Starboard village’s little red schoolhouse, maintained by the club. Normally, every odd year includes a historic reenactment, such as the one pictured here from 2015. However, this year the association opened the schoolhouse and dedicated the new Little Free Library built to hold books outside the schoolhouse. 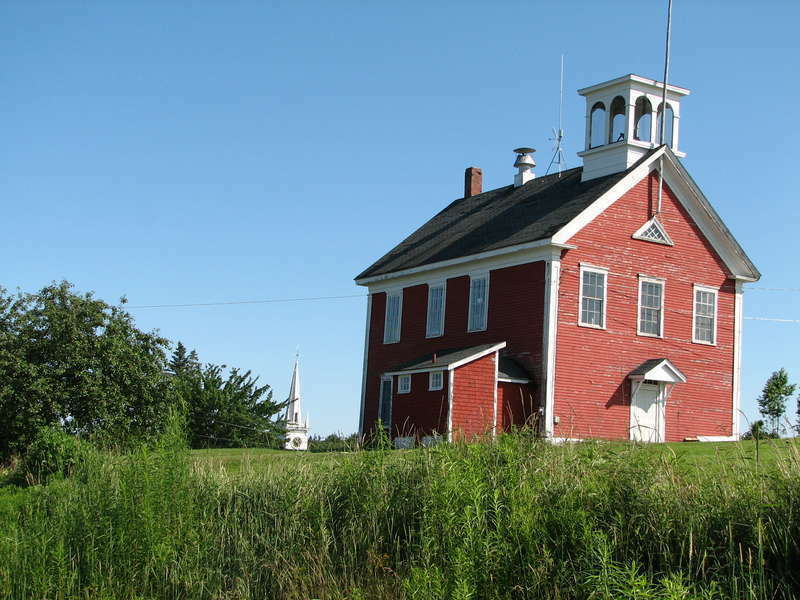 On every even year, the club hosts a lobster roll and fish chowder public supper, to raise funds for the maintenance of the historic building. Photos courtesy Starboard Cove Community Club. 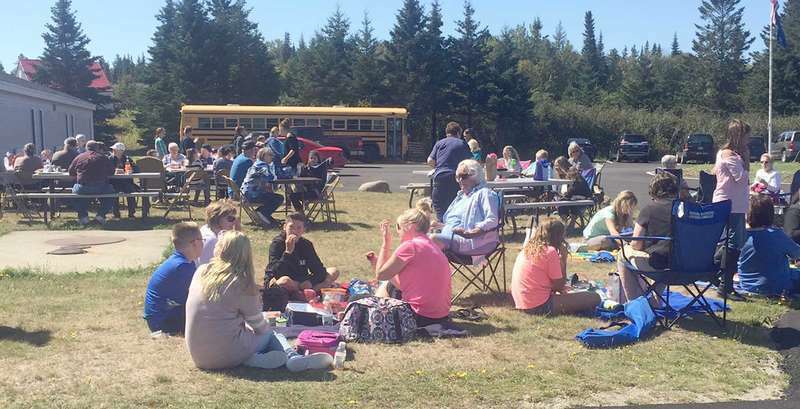 On Sunday, September 17, Maine Coast Heritage Trust (MCHT) will host a picnic from noon– 2:30 p.m. at the Long Point Preserve, East Side Road, in Machiasport. This event is free and open to the public. Dozens of donors, invited to a weekend preview of the new emergency department at Down East Community Hospital, poured into the new patient-friendly facility. Exact percentages vary, but news from Texas consistently paints a bleak picture regarding the number of homes protected by flood insurance - with the vast number of homes impacted by Hurricane Harvey reportedly uninsured. 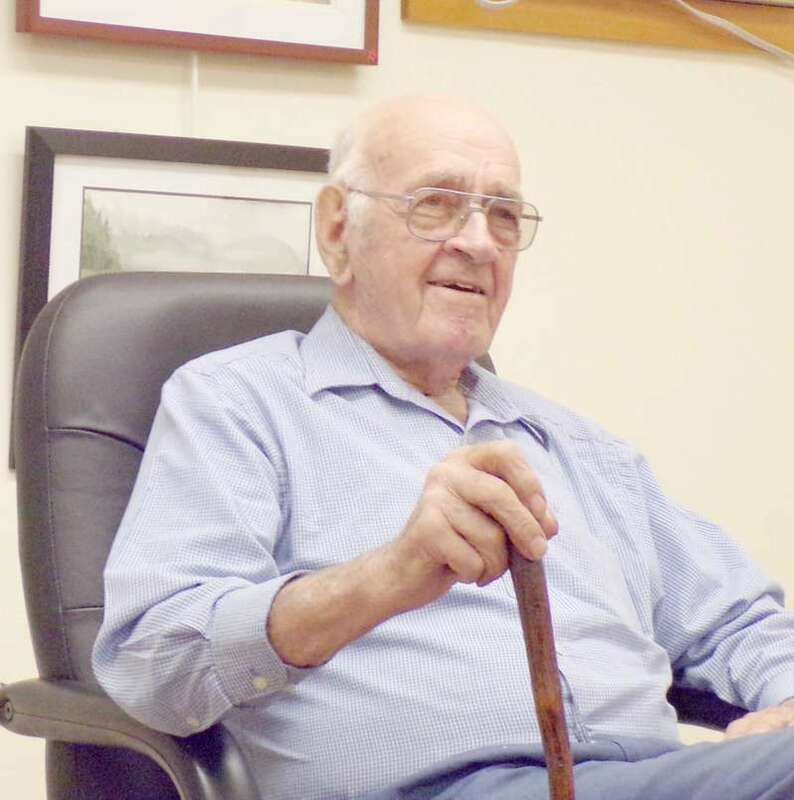 Local WWII Navy veteran Mac McKean will receive a citation of recognition for his service from the USS Wasp Association later this month. The Ridge Trail in Moose Cove is an unspoiled, beautiful stretch of terrain that occupies the Bog Brook Preserve in the rural township of Trescott. 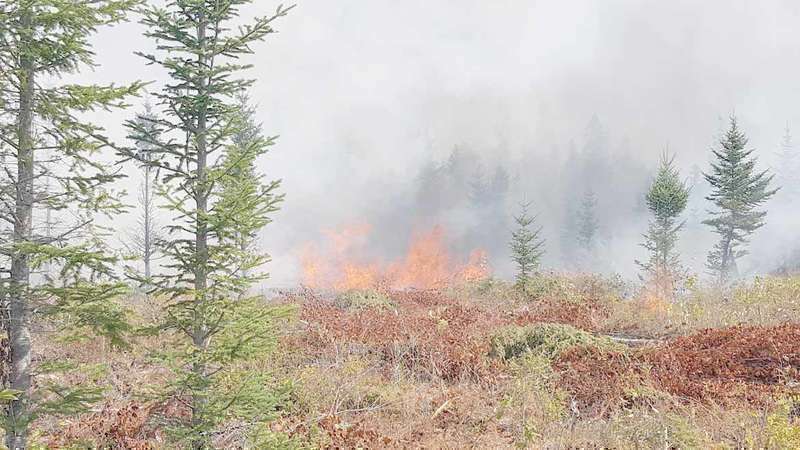 While traveling on Route 191 north east of Cutler, it may be tricky catching a glimpse of the sign alerting motorists to Moose Cove, as one notes the thick forests and bogs of either side of the road. But once you locate the entrance, you will be treated to a peaceful wooded hike complete with some stunning views. 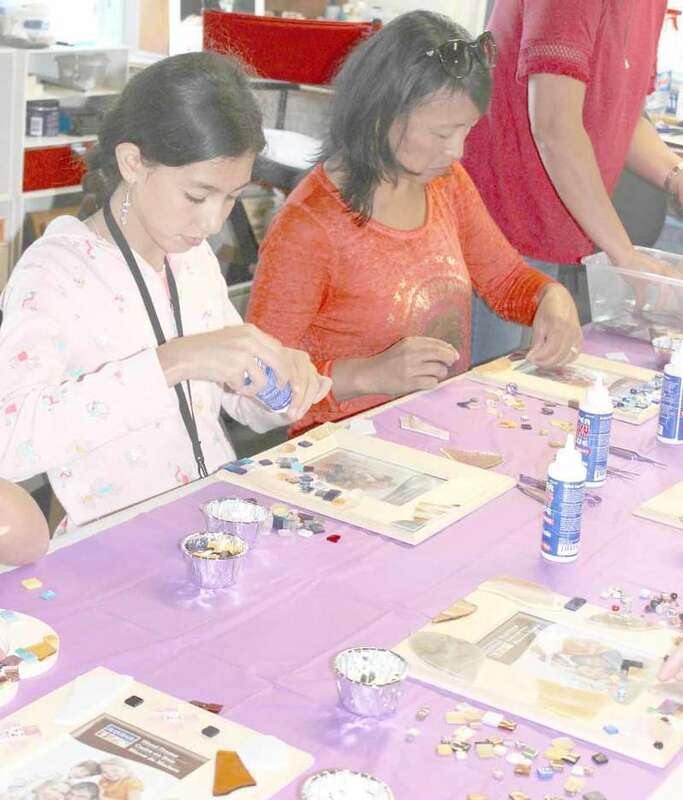 Axiom Education & Training Center in Machias will offer several Mosaic Classes, for kids and adults with Meri Levesque in September and October. On September 23, there will be two workshops, one for kids in the morning from 9:00am – 12:00pm, and another for adults from 1:00 – 4:00pm. There will also be a one-session workshop for kids on Saturday, October 21, 9:00am – 12:00pm and a four-session workshop for adults on Tuesdays, October 5 – 26, 5:30 – 7:30pm. 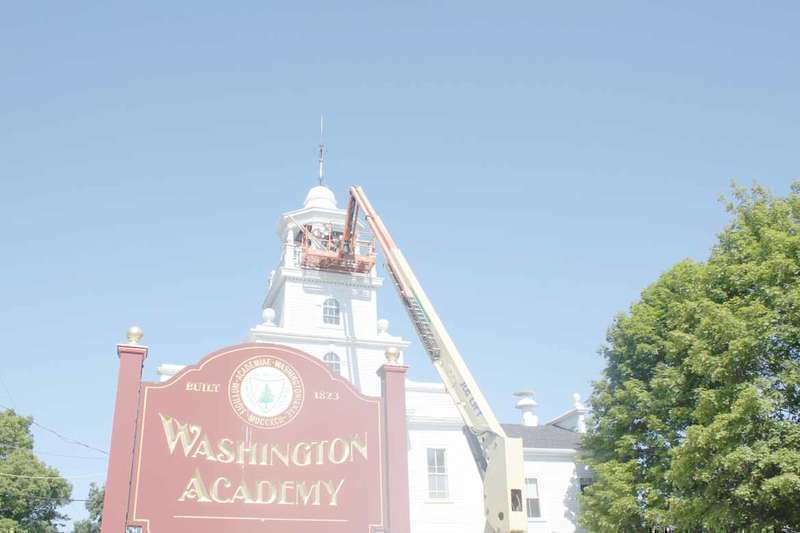 All classes will be held at Washington Academy, 66 Cutler Rd, East Machias. 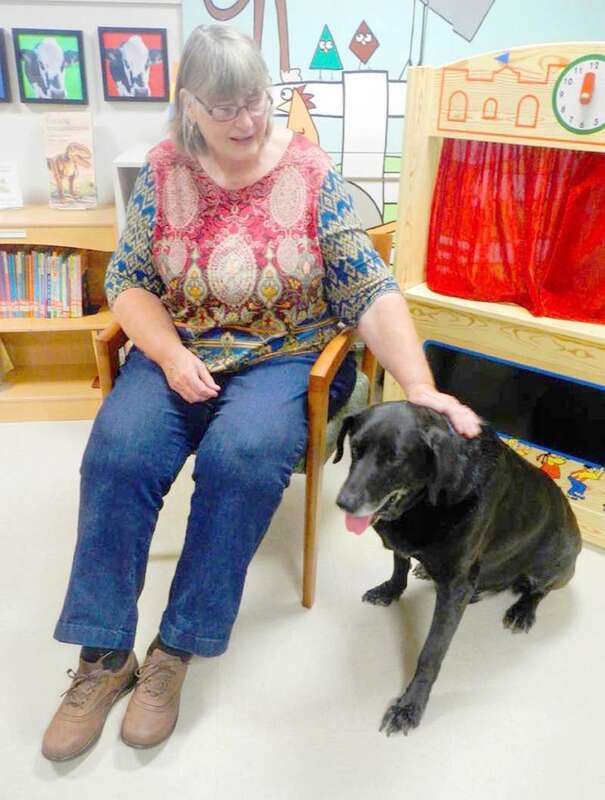 This fall, Porter Memorial Library will offer two new children’s programs – “Dog Days at the Library”, and “Kids’ Story Hour” - led by library volunteer Diane Parker with her certified Pet Therapy Dog, Beau. Dog Days at the Library will meet every 2nd and 4th Saturday of the month at 11 a.m., beginning September 23. The first session is a meet-and-greet event featuring Beau, a black Labrador retriever. Children of all ages are invited to read to Beau, who listens without saying a word while kids practice their reading skills. Attorney General Janet Mills today announced that Maine has joined 31 other states in a settlement with technology company Lenovo Inc. to resolve allegations that the company violated state consumer protection laws by pre-installing software on laptop computers sold to Maine consumers that made consumers’ personal information vulnerable to hackers. 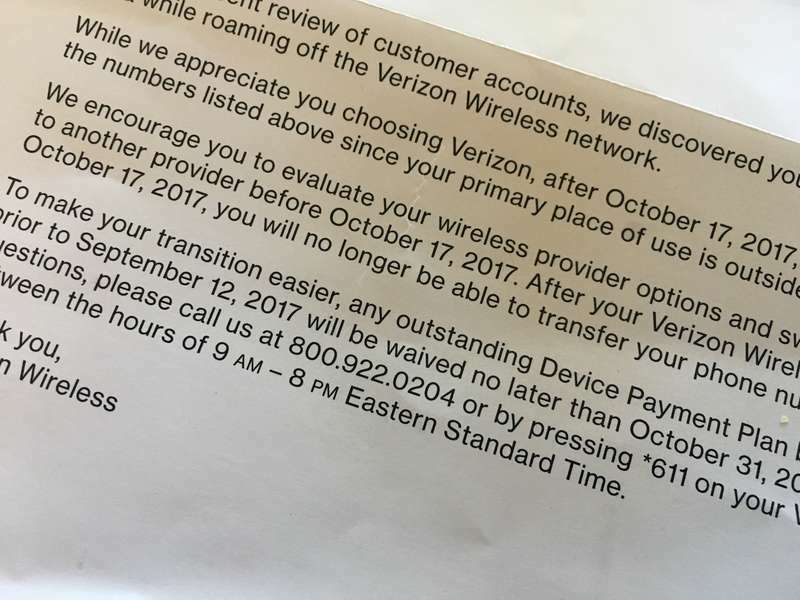 The settlement was negotiated and finalized in coordination with the Federal Trade Commission. How does that saying go? “Fool me once shame on you; Fool me twice, shame on me?” Why is it that some of us never learn from our mistakes? Ashmore posted video updates of his journey from Maine to Texas onto the ”Downeast MAINE helping flood victims in TEXAS” Facebook page. He was met in Texas by a group of volunteers who helped sort and unload the goods. The months of September and October are probably the best two hiking months of the year whether you are on your way up Mt. 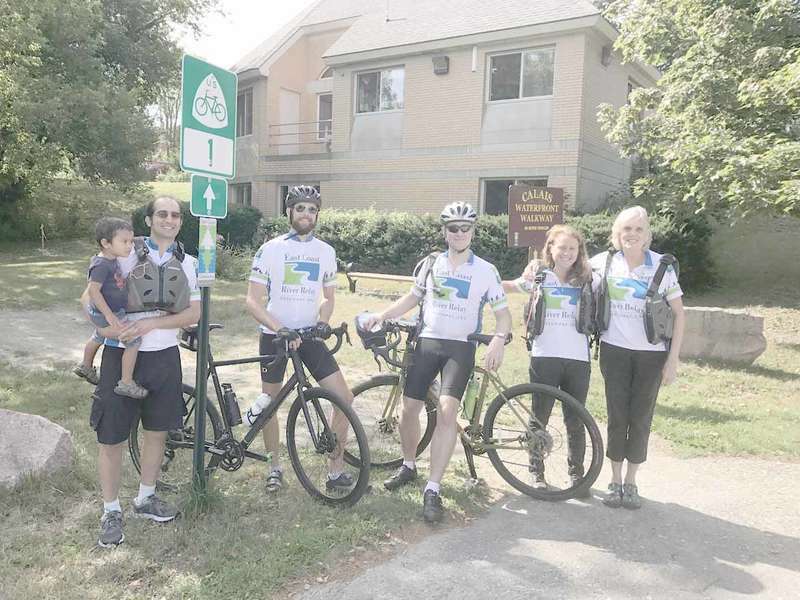 Katahdin or doing the Machias River Trail. 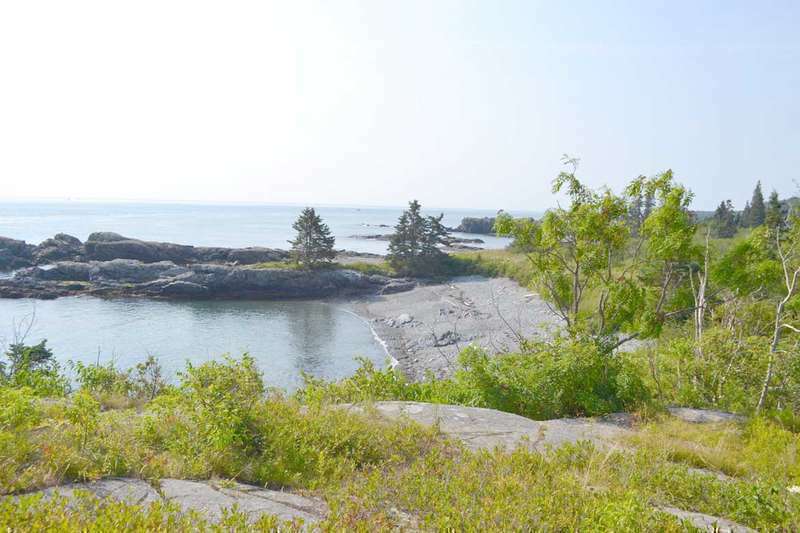 Maine offers hikes of all degrees of difficulty, but you won’t find that situation in Downeast Maine. The Quoddy Baseball League in 1965 featured seven teams, which included the Beals Braves, Campobello Islanders, Cutler Naval Base, Bucks Harbor Air Base, Cutler Cardinals, Machias Bruins and Pleasant Point Indians. The Indians got off to their best start ever that year with aging veteran Bobby Wade on the mound and some solid hitters like Jiggs Mitchell, Tim Newel, Red Sapiel, Billy Altvator, Togue Small and Bill Holman. 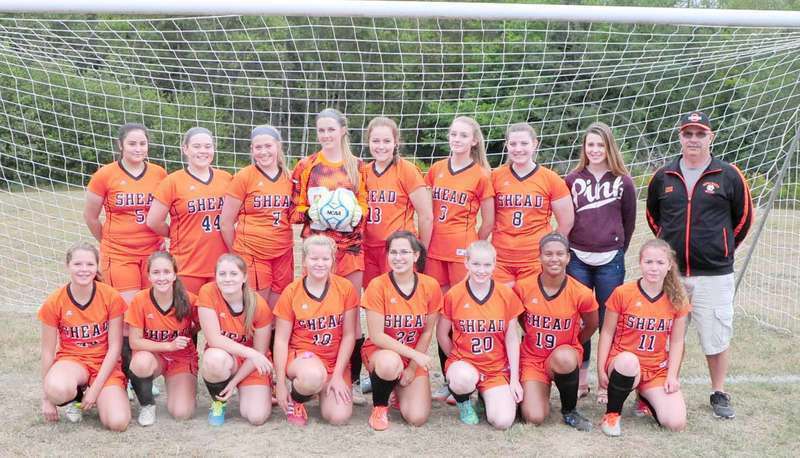 The Indians got off to an 8-0 start and would try to win number 9 on August 10 at Machias against the Bruins. The Washington County Thriving in Place Initiative invites you to “Repair & Winterize My Home,” a free informational session on Sept. 26 from noon to 3 p.m. at the East Machias Community Center, located in the Firehouse building across Route 1 from the East Machias Post Office. 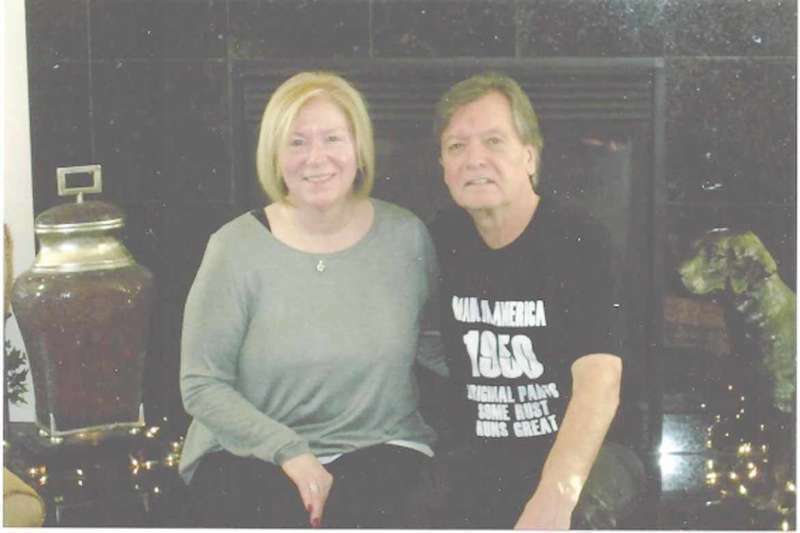 Warren M. Orcutt, Sr. and Velma L. Orcutt of Steuben to Warren M. Orcutt, Jr. of Steuben, Warren M.
Orcutt, Sr. and Velma L. Orcutt of Steuben a certain lot or parcel of land situated in Township No. 18, M.
UMM’s leadership team attended, as did leadership from the University of Maine System and the University of Maine, including President Susan Hunter. More than fifty UMM faculty and staff members were present to honor each other, the beginning of the partnership with UMaine, and significant UMM achievements and initiatives. UMM Head of Campus Kay Kimball described the university community as a group of people here by choice. 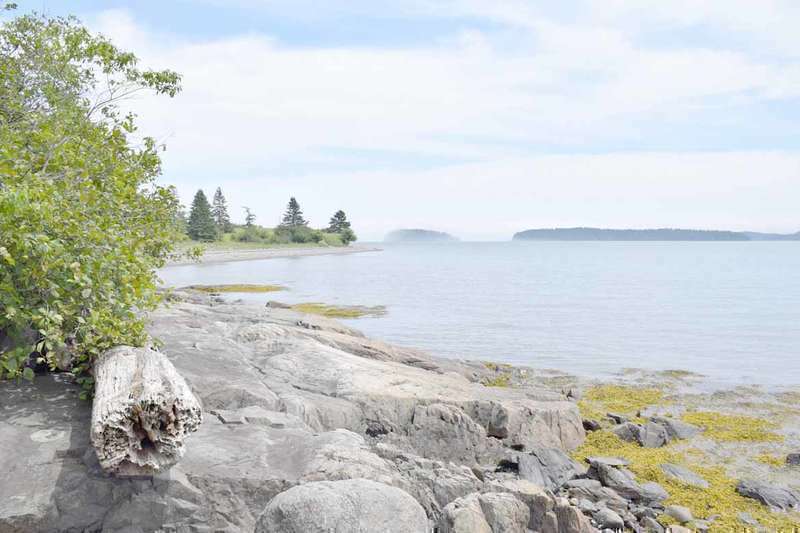 With the recent additions of Old Orchard Beach and Stonington, Maine boasts a total of 40 towns and communities to have joined the AARP Network of Age-Friendly Communities (NAFC). In fact, Maine leads the nation in the number of towns, large and small, that are making a difference in the lives of residents of all ages through creative and collaborative efforts. 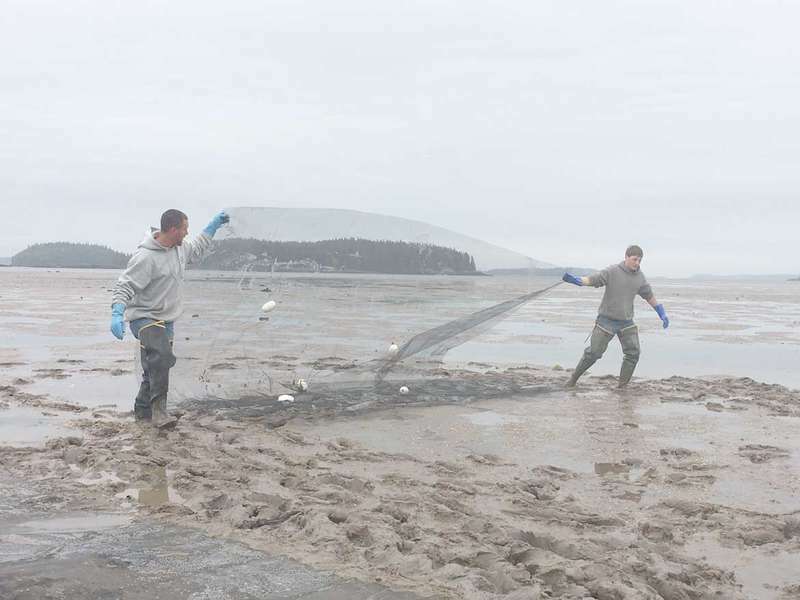 Maine’s Arctic Char - Sept. 18 at 6:30 p.m. – DSF at 13 Willow Street, East Machias – Join Downeast Salmon Federation and the Native Fish Coalition of Maine to learn about one of the rarest salmonids east of the Rocky Mountains, found only in Maine. Presentation will include historical information about this fascinating fish, population status and threats, conservation efforts and fishing. Presented by Bob Mallard, Northeast Regional Editor and Publisher of Fly Fish America, Registered Maine Guide, writer, author of “50 Best Places Fly Fishing the Northeast,” and native fish advocate. I am writing as one of the 375,668 “No” voters, asking our legislators, the 17 members of the Joint Select Committee on Medical Marijuana Legalization Implementation and fellow citizens to reflect upon the Pandora’s box that commercialized pot will open in our beautiful state. I’ve been a property owner in Maine since 1988 and year-round resident since 2011. Maine’s rate of drug overdose deaths is keeping pace with last year. Through the first six months of 2017 the Office of the Chief Medical Examiner recorded 185 deaths attributable to drug overdose, according to Dr. Marcella Sorg of the Margaret Chase Smith Policy Center who analyzes overdose deaths for the Office of the Attorney General. Doubled, that would be 370 compared to 376 in 2016, or more than one drug overdose a day. • Most (79%) drug deaths were caused by two or more drugs. The average cause of death involved three drugs. • The vast majority of overdoses (84%) were caused by at least one opioid, including both pharmaceutical and illicit (non-pharmaceutical) opioid drugs. • Fentanyl (and/or its analogs) caused 61% of deaths, alone or in combination with other drugs, up from 52% in 2016. • Heroin caused 22% of deaths, alone or in combination with other drugs, down from 32% in 2016. Past the bobbing fishing boats of Jonesport and endless stacked lobster traps of Beals, Great Wass Island stands proudly in the Eastern Bay, accessed by the winding Black Duck Cove Road. 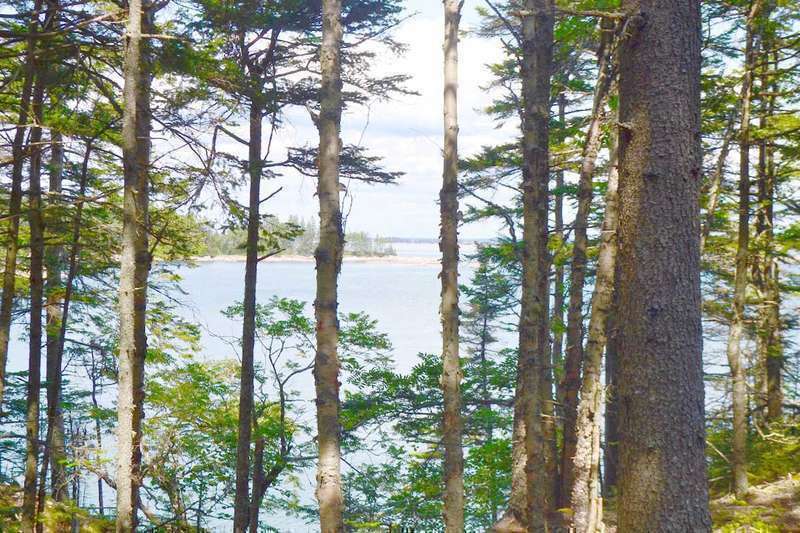 Several miles down the road lies a small gravel parking lot for the Great Wass Island Preserve, a marker signifying the start of one of Downeast Maine’s beautiful wooded hikes. This week I had the pleasure of sitting down with Shelbie Ross, a young woman who is preparing to undergo brain surgery to save her vision. I was impressed by her determination to take care of herself, even though it meant reaching out to doctors a plane ride away, we should all be so focused. No doubt her grit and wry sense of humor will serve her well in the months following her surgery. You’ll find her story and ways in which the community hopes to help on page 1. Governor Paul R. LePage announced today he has hired Steven McGrath to serve as the Director of the Governor’s Energy Office. After they were married, Dwight Whitney’s parents received a house and some land as a gift from his grandfather. The only hitch was that the house and land were separated by one third of a mile and a large hill. Whitney’s grandfather said, “It’s no problem, I’ll move the house up for you.” He used a team of oxen, rolling skids, rope and a large set of blocks. After a few days he had relocated the home, chimney and all. “You tell somebody to do that today, they’d say it can’t be done,” said Whitney. On Tuesday, Aug. 30, Diane Tilton told the Machias Rotary Club an anecdote that illustrates why the Downeast Institute (DEI) is positioned to become an international destination for scientific research. 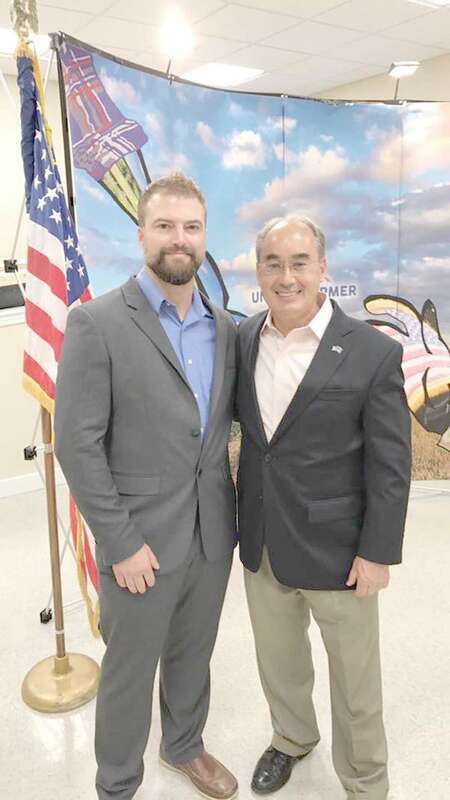 Rep. Bruce Poliquin (R-ME02) recently appointed Shawn “Doc” Goodwin to his Veterans Advisory Panel as the representative for Washington and Hancock counties. “Doc is a great example of one of these terrific Maine veterans who really understands the issues on the ground,” said Poliquin. 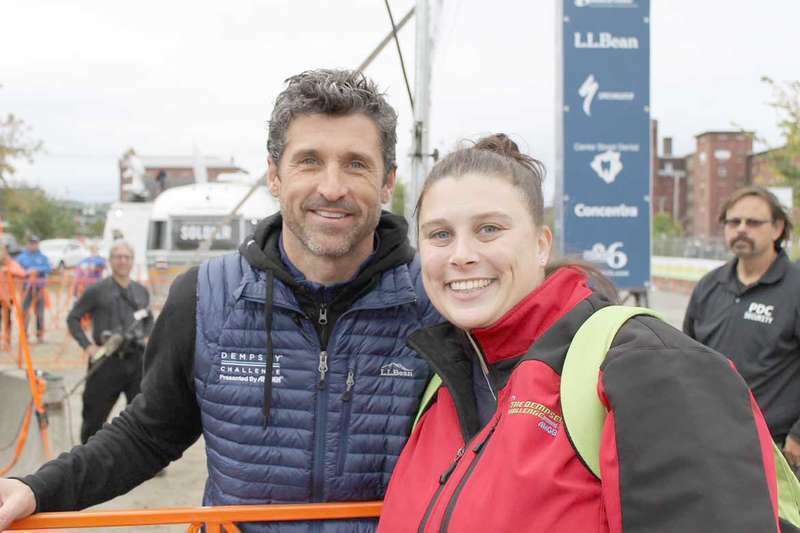 Goodwin earned that understanding working in service to the vets of Washington County as the president of the Maine Veterans Project (MVP), a nonprofit he founded in 2015 to prevent veteran suicide. 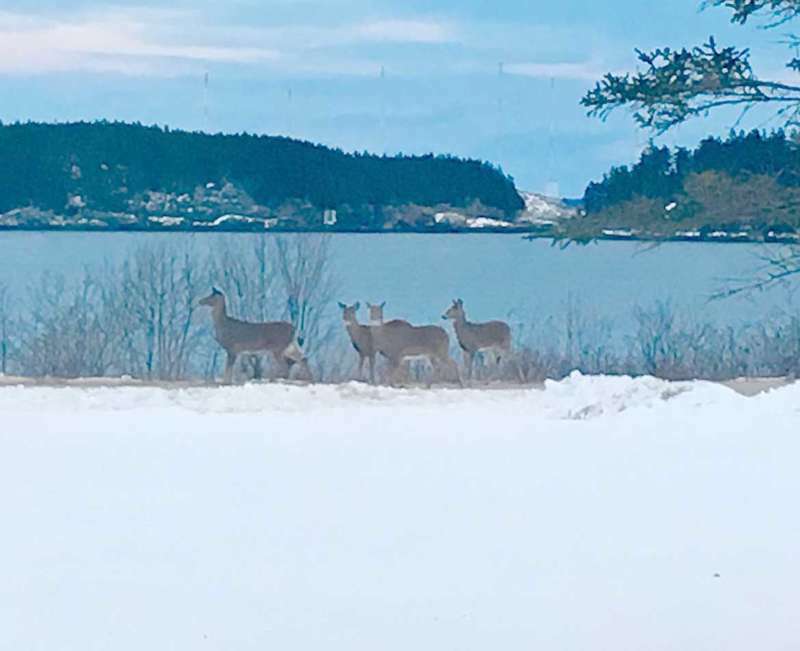 When deer hunting begins in Maine next month, for the first time in over 30 years it will be lawful to shoot a female. In a drawing held last week (Sept. 8), 50 names were plucked and issued any-deer permits for Maine Department of Inland Fish and Game Wildlife Management District 27. WMD 27, often called the Downeast District, stretches from Gouldsboro to Calais and includes the 733 square miles south of the former Maine Central Railroad, now the Sunrise Trail. Tom Schaeffer is its regional biologist. Shelbie Ross will be traveling to New York City this month for a six-hour surgery to remove a tumor that is sitting on her right optic nerve. 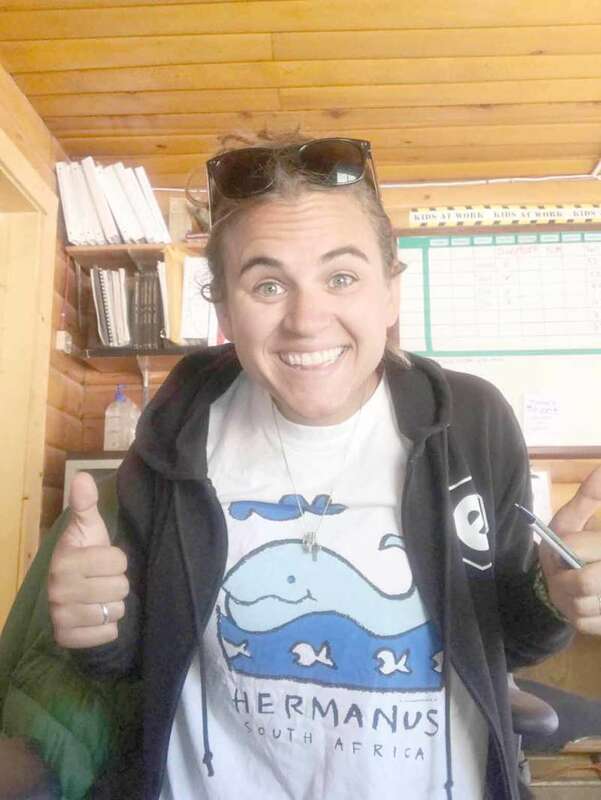 Now, friends, family and neighbors are mobilizing to help Ross cover the costs she will encounter as a result of the brain tumor, called a Suprasellar Meningioma. Doctors expect the tumor to be non-cancerous, but if it is not removed quickly Ross could lose her vision. The Axiom Education & Training Center, a 501c3 non-profit organization, is pleased to announce its new flagship program, the “National Digital Equity Center” (NDEC). 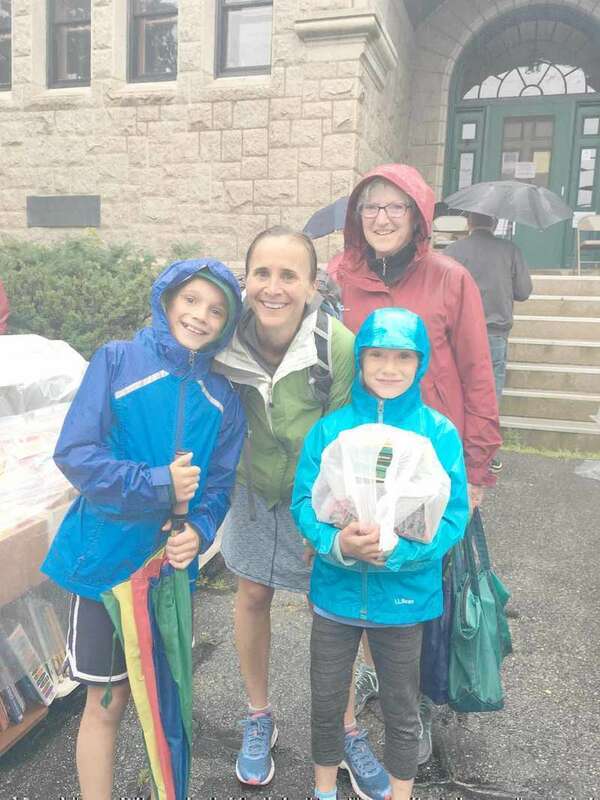 This summer in 16 communities statewide, more than 2,000 youths ages 8-13 participated in the Maine 4-H Summer of Science, which provided hands-on STEM learning activities in areas ranging from animal adaptation and bioremediation to chromatography and engineering design. All photos by John Rogers. See full photo spread in this week's issue pages 16-17. Digital version here. Hailey Wood gets the pass to a leading teammate. Made Tanggahma battling a Lady Dragon the possession of the ball. Writing was always part of Edward’s and Louise’s relationship. It still keeps the two close, even though he is no longer by her side. Edward and Louise met in kindergarten and started dating as teenagers. Edward wrote poems to Louise during his service in the Air National Guard. He continued his writing after they married in 1969, and, in her spare time, Louise edited and typed his work. Oriental Jade, a Bangor restaurant serving Chinese and Asian cuisine, is credited as the inspiration for the “Jade of the Orient” restaurant in Stephen King’s #1 best selling novel “It”. The Jade of the Orient was the scene of a rather pivotal moment in the book, where the members of the “The Losers’ Club” gathered and eventually realized that evil clown Pennywise seemed to be everywhere, including sending the group messages through fortune cookies through objects like eyeballs inside the cookies. More than 150 community members came out to view the new Emergency Department at Down East Community Hospital last week. Bess the Book Bus will returns to Camden National Bank in Milbridge 3-5 p.m. Friday, Sept. 22. Bess the Book Bus is a mobile literacy outreach dedicated to building home libraries for children and families that otherwise may not have the opportunity to own books. Area children can visit the bus and pick out a free book to take home. Books in both English and Spanish will be available. Bean Supper - Sept 16. West Lubec Methodist Church, 5 p.m.
Sunrise Care Facility is pleased to announce that Julia Alley, business office manager, has been chosen to receive the 2017 Maine Health Care Association Celebrating Excellence in Caregiving Award. 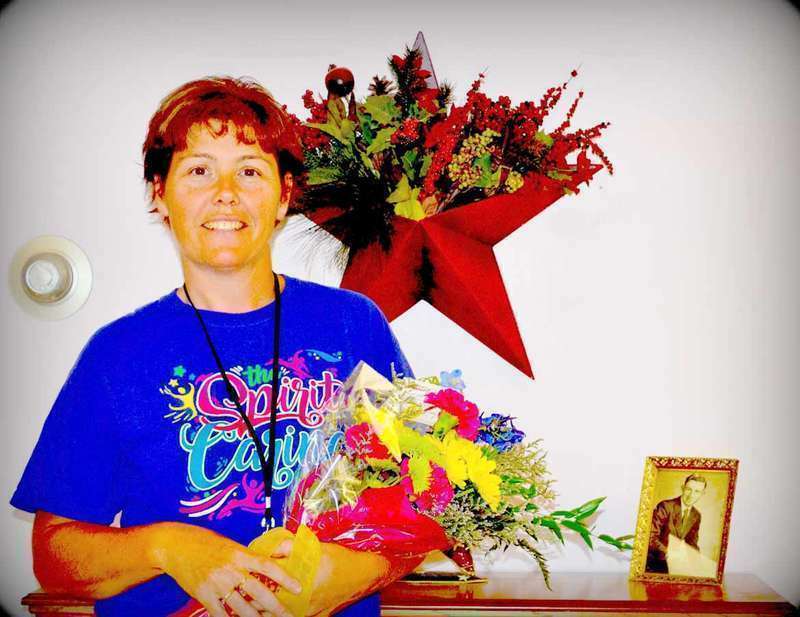 Julia has been employed at Sunrise Care Facility for 23 years. Throughout her many years of service, she has served as a C.N.A., a C.N.A.-M., the Dietary Manager and in her current role as the Business Office Manager. 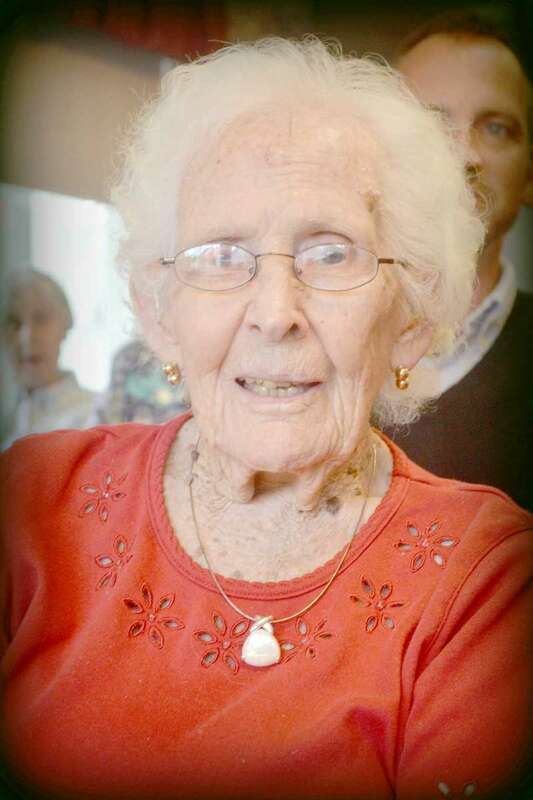 Obeline Crowley, originally from Beals, resides at Sunrise Care Facility in Jonesport. On Aug. 29 Obeline turned 100. Here at Sunrise we had an open house, where family, friends and other residents gathered to celebrate this wonderful lady’s milestone. She received cards, gifts, phone calls with 2 special letters from Governor LePage and President Trump. She was presented a cane for being the oldest person living from Beals Island. There was lots of laughter and memories that filled the room at Sunrise Care Facility. Constitution Week, September 17-23, commemorates the signing of the Constitution of the United States. The first plan of national government the United States had was called Articles of Confederation and Perpetual Union, quickly shortened to the Articles of Confederation by most people. The Confederation was a loosely joined group of states that gives only limited powers to the central government. The Articles were drawn up in 1777 and went out of existence when the Constitution was adopted in 1789. Of the written national constitutions, the U.S.
At their Sept. 5 meetings, the school committees for Beals (BES) and Jonesport Elementary Schools (JES) dealt with resignations, hirings, coaches, and the borrowing of eighth graders for the high school volleyball program. The hurricane in St. Petersburg, Florida is scary. Many of us have family and friends living there. I am praying for their safety. Our son, Roger, and his wife, Susan, and their basset hounds have hunkered down with friends in Rog’s wife’s beauty salon. It is a cement building. By the time you read this, they should all be safe! Julie and Elliot Noyes just moved back to Harrington a short time ago. They still have two sons and their families. We are praying for everyone’s safety. 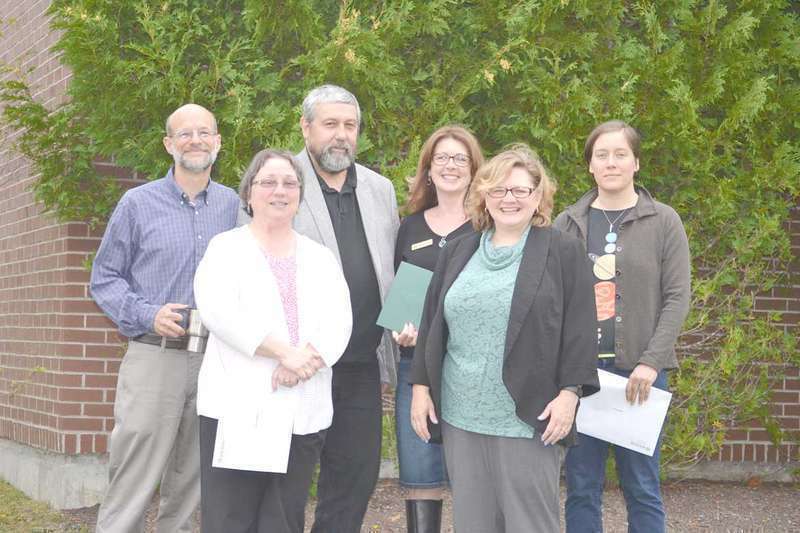 The Friends of the Whitneyville Public Library along with Librarian Patricia Brightly are pleased to announce that construction of the new library will be begin on Sept. 23 with a ground breaking ceremony. It is a momentous step in the library’s next chapter and marks a glorious milestone. Karen made it to her cousin’s wedding in New Hampshire with Lisa and Dorothy for company. Great pictures and a great time was had by all. Karen thanks everyone for their prayers. She has been having hard times with her chemo but she’s tough and makes it through. Thanking Wendy for helping at Bear Camp in Karen’s place when she’s not up to it. Andy and a couple of his good friends showed up and split all my firewood by hand, no splitter. Thank you. guys. The first week of school has come and gone, where does the time go? All of the kiddos are happy to be back with their friends. Some of our buses were acting up as if they did not want to get back to work either but we soon straightened them out. I was blessed again with more beans to can this past week, and with the corn that I got when we traveled to Bangor on Labor Day I was able to put that up, too. I don’t think I will go hungry this coming winter as I will eat out of my larder. The 2017-2018 high school sports season is upon us which includes cross country, golf, football, boys’ and girls’ soccer and volleyball. 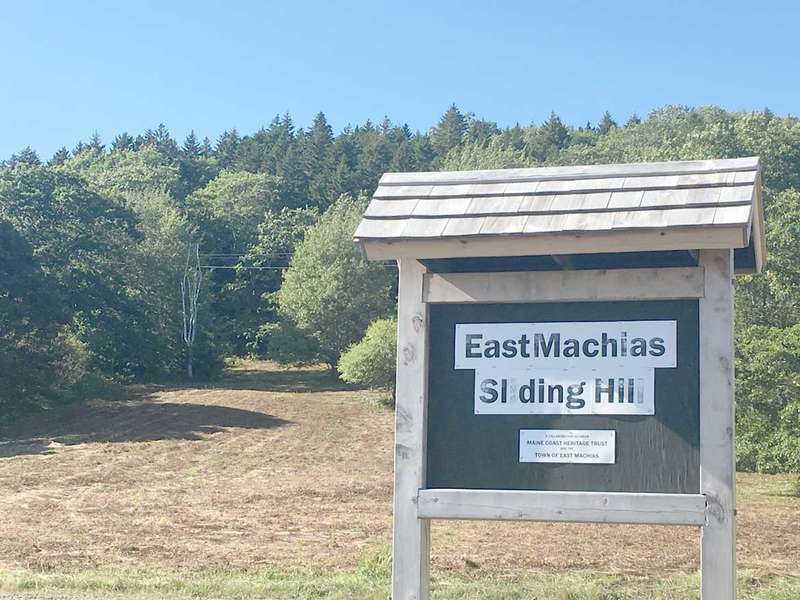 Cross country is hard to predict but it would be fairly safe to say that Evan Merchant of Jonesport-Beals would be favored to win the DAC championship and that WA, Machias and Narraguagus would be the only schools capable of fielding fall teams. 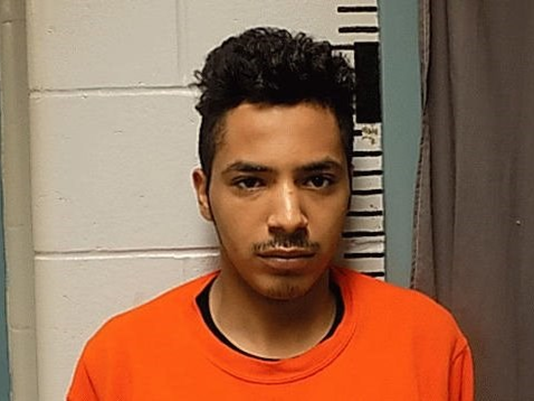 A Connecticut man wanted on drug charges in Maine and a number of other felonies from Connecticut, was taken into custody late last night in Machias. Rafael Santiago-Salazar aka: “Chico” was charged in February for selling heroin and crack cocaine, following a joint investigation by Maine Drug Enforcement Agency and the Washington County Sheriff’s Office. Following his arrest, Santiago-Salazar, posted bail but never showed up for his court appearances in Maine. It is so refreshing to have a president in the White House who truly understands what it takes to create jobs and grow the economy. From his long and successful career in business, President Trump knows firsthand that a burdensome tax code doesn’t create jobs, it kills them. When he outlined his vision for tax reform last week, I was pleased to see it will help Maine families keep more of their hard-earned paychecks. The Maine Youth Action Network (MYAN) in partnership with the River Coalition, Wabanaki Public Health, Healthy Acadia and Penobscot Job Corps Center, is partnering to host a free workshop that offers adults who work with youth effective tools, resources and strategies for building successful youth-adult partnerships. “Creating Successful Youth/Adult Partnerships” will be held on Friday, Oct. 13 from 9 a.m. to 2 p.m. at the Penobscot Job Corps Center, 1375 Union St. Bangor, Maine 04401. The annual meeting of the Pleasant River Historical Society will be held at 2 p.m. Sunday, Oct. 8 at the Mayhew Library in Addison. This annual meeting satisfies the IRS 501(c)3 and State of Maine non-profit regulations and will involve the election of officers to fill all vacancies. For voting purposes there will be a table from 1:30-2 p.m. to take new memberships. All area persons interested in the historical resources of the Pleasant River area are invited to attend. Before earning their rank, aspiring Eagle Scouts must accomplish a project that both demonstrates their leadership and serves the community. 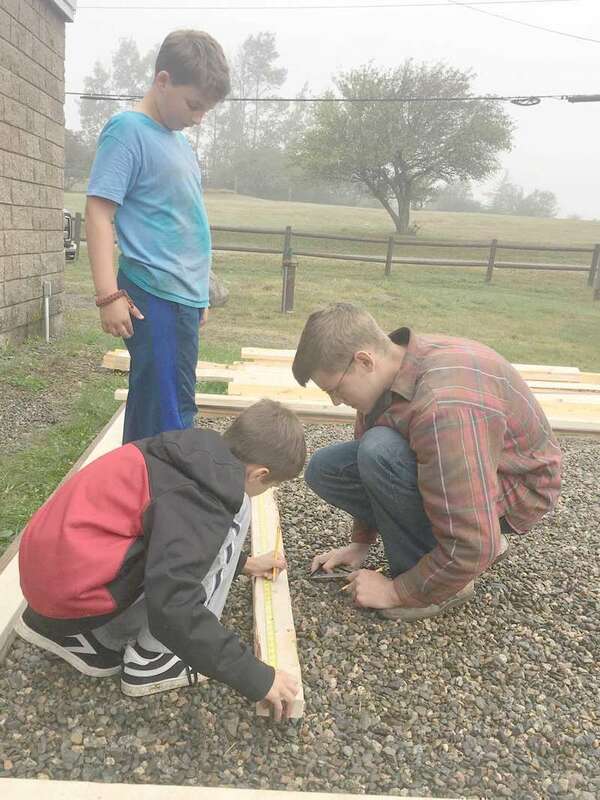 For his final service project, 17 year-old Caleb Norton chose to build a new greenhouse for the Fort O’Brien Elementary School in Machiasport. 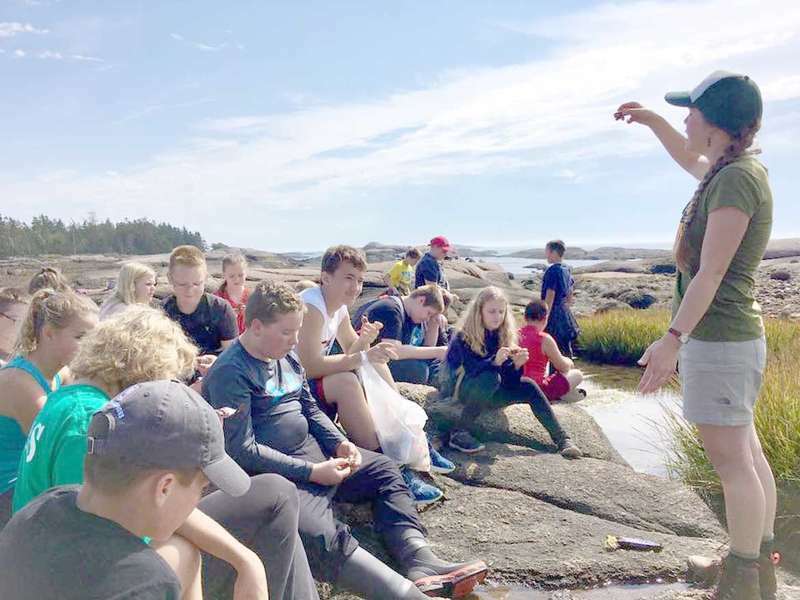 Beals Elementary students did not stay inside to read about science on Sept.14-15; Maine Outdoor School took Beals students in grades K-8 to the Great Wass Island Nature Preserve to learn geology and natural history through games, acting, exploration, and observation. On the first day, students in grades 5-8 focused on geology by identifying rock and mineral types along the trail. On the second day those 5th-8th graders teamed up with students in grades K-4 to share what they learned and to build new natural history knowledge together. It is an exciting time for the library as we prepare for the groundbreaking for the new library. The new site of the library, which is located on Cross Street in Whitneyville, will be the center of attention on Sept. 23 at noon. All of our patrons and library friends are invited to attend. Following the groundbreaking ceremony the Friends of the Whitneyville Library invite everyone to the Hillgrove Community Building for light refreshments. This is a wonderful and exciting moment in the library’s history that we want to share with all our library friends. 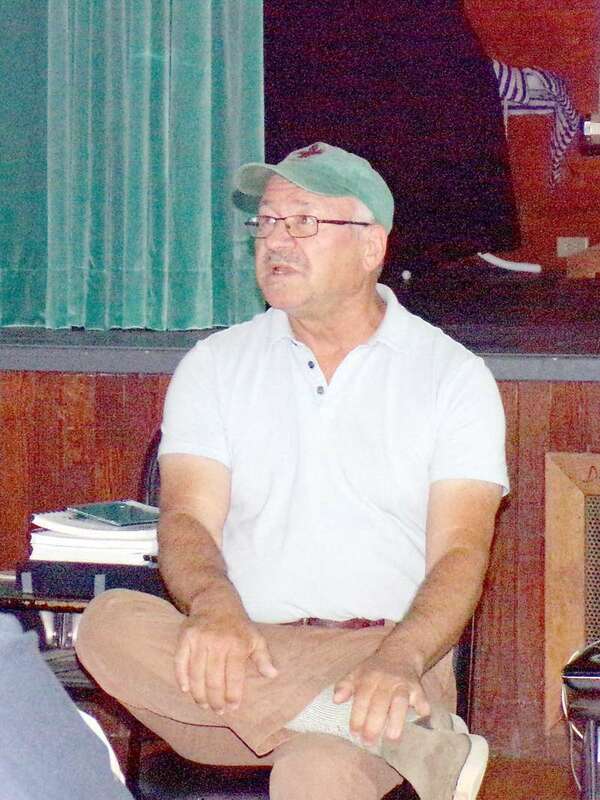 The Milbridge Historical Society speaker for Tuesday evening was Doug Kell speaking on how he came to Milbridge and started his business Kelco Industries in the old Milbridge High School building. This was our last program for the year. 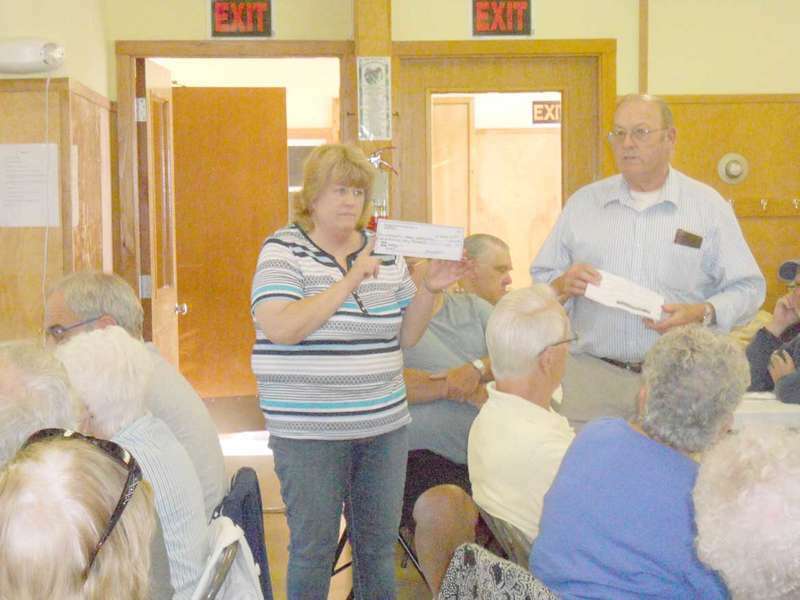 The chicken pot pie supper at the congregational church in Cherryfield on Wednesday Sept. 13, was delicious with many folks out for it. I enjoyed sitting at the table with Joe, Anne, Ruth, Jean, Louise, Ben and his mother. The next and last supper for the season will be Wednesday, Oct. 11 with a turkey dinner. Another week has passed by so quickly. Friends and family attended the funeral For Dorothy “Dottie” Plummer this week. 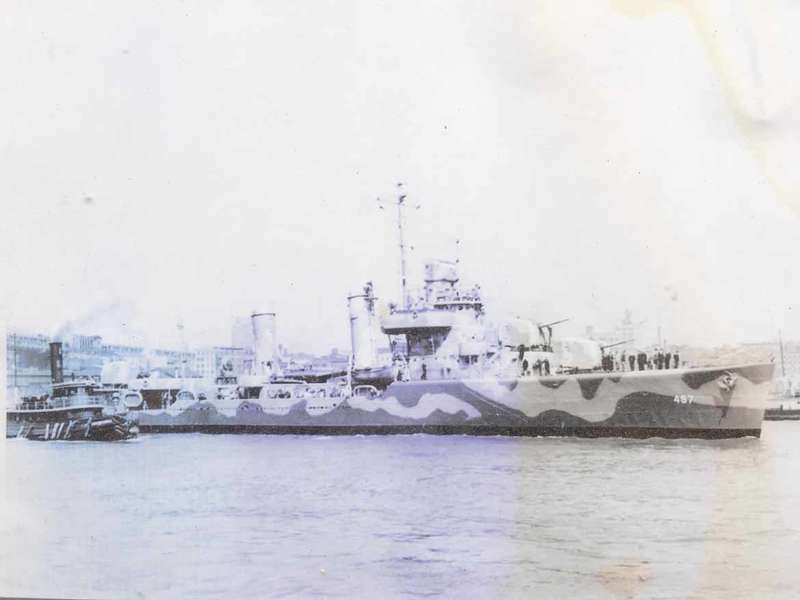 Dottie was the widow of Captain Ralph Plummer of Harrington. Dottie was a lovely lady and will be missed by many. She traveled extensively with her husband. They lived all over the United States and other countries. She had a great personality and was loved by many. Happy reunion with “Bud”, Dottie. Joe and Anthony, father and son from New Jersey, were here for bear hunting for the second week. 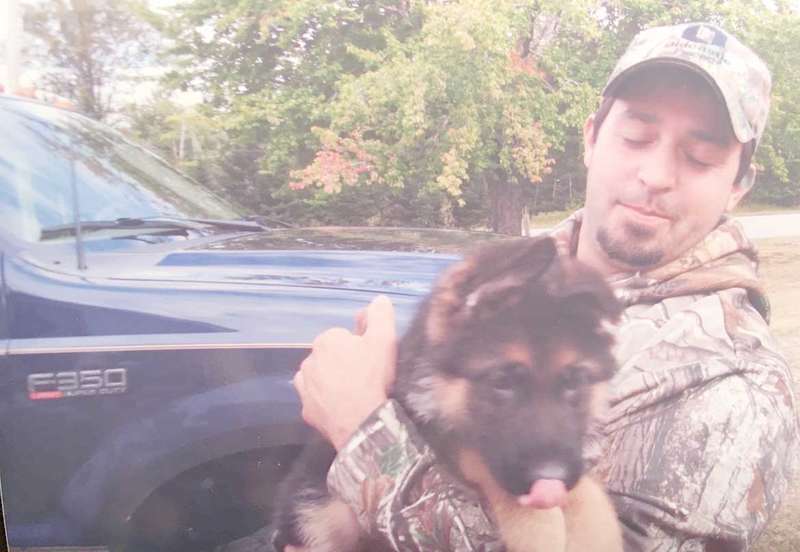 Other than seeing bear cubs, which they didn’t get, they went to Marshfield and went home with a cub. Shepherd pup. The cutest thing you ever saw. They were happy. During my time in Maine this summer, I visited all of the 16 counties in our state, hearing feedback from Maine people about the issues important to them, their families and their communities. My stops throughout the state once again reminded me that Maine is a big small town with very long streets – we care about each other and our friends and neighbors. Listening to people from Sanford to Fort Fairfield – and everywhere in between – is a breath of fresh air and helps guide my work in Washington. Lots of people think that their family yards need less attention in the fall, but autumn is no time to ignore your lawn and landscape. “What you do now will determine the quality of your family yard next spring and summer,” said Kris Kiser, president and CEO of the Outdoor Power Equipment Institute (OPEI), the international trade association representing more than 100 power equipment, engine and utility vehicle manufacturers and suppliers.